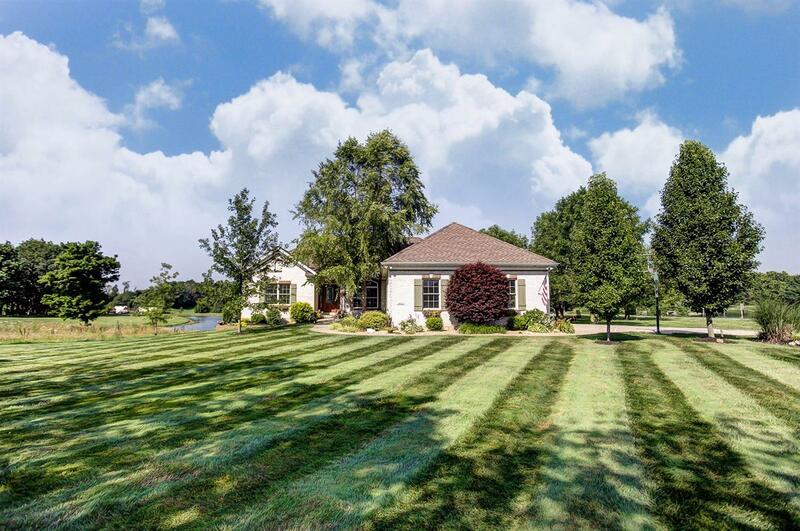 Picture perfect all brick ranch on fantastic 3/4 acre lot with pond. This 4 bedroom, 3.5 bath home features 9' ceilings throughout, hardwood floors, open kitchen with granite counters, maple cabinets, walkout finished basement, over-sized 2.5 garage, all with views of the beautiful stocked pond! New Roof and HWH.